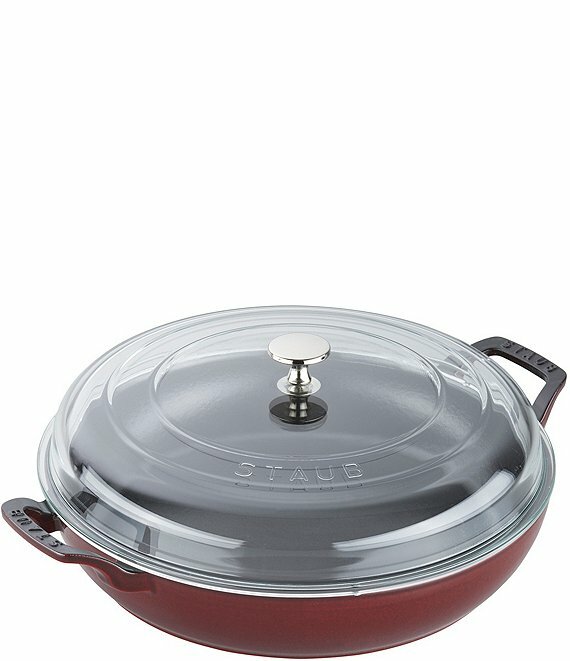 The 3.5-qt Braiser with Glass Lid is the perfect pot for one-dish suppers, braised lamb shanks, and breakfast hash. The heavyweight, domed glass lid locks in moisture and accommodates large cuts of meat. Home chefs can easily monitor cooking without removing the lid, ensuring flavors get sealed within each dish. The durable cast iron construction boasts even heating and excellent heat retention. Resistant to rust, chipping and cracking, the coating requires no additional seasoning like standard cast-iron pieces.